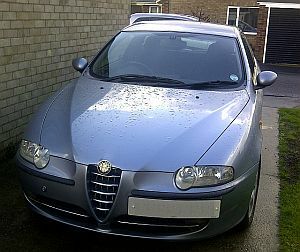 Description of car for sale : Alfa Romeo 2001 Y Lusso Manual petrol blue £650 98,326 miles, "2001 Alfa 147 1.6 TS Lusso. Drives Superb, No Dings. Cam Belt At 67k. New Battery. ABS, Cruise And Traction Control. Alloy Wheels, Radio/Cd."